Kudos to Danielle Gould, Holley Atkinson, and Nina Meijers for hosting a sold out Food + Tech Connect event at LMHQ. Food + Tech Connect helps companies and investment funds understand and capitalize on emerging food, technology, and innovation trends to create a better future for food. The recent meetup featured a community of innovators who are developing new technologies to help restaurants streamline operations and improve margins. Javier Castillo, manager at Castillo Restaurant, provided a unique restaurateur’s perspective. A restaurateur’s top three challenges are attrition (typically 10%), technology integration, and an effective inventory management system. Javier stressed the need for a unified ecosystem that is reliable, simple, and accessible in daily use and during the onboarding phase. Perhaps landscape consolidation is on the menu for 2016-2017. Do a successful concept test. Word of mouth is very important in the restaurant business. Four entrepreneurs also shared their products, business models, challenges, and lessons learned. ChowNow is the leading online ordering platform specializing in branded mobile apps and a suite of marketing services for restaurants. Since 2011, ChowNow has built white labeled, personalized ordering systems for more than 3,500 restaurants nationwide. ChowNow’s mission is dedicated to providing restaurants with the tools needed to compete in an increasingly technical world. Key challenge: Building a stellar team is hard, maintaining a stellar team is even harder. Founded in 2012, SALIDO lets a restaurant focus on the customer experience using a single interconnected system. The SALIDO team is passionate about creating a world-class system that puts power in the hands of restaurant owners, enabling them to run successful and profitable businesses. The SALIDO restaurant operating system (rOS) empowers businesses to control, analyze, and leverage their critical data. Managing the quality of an enterprise product requires a lot of applied research. Hindsight is 20/20. You need to learn how to talk to investors at the right time. Since 2010, Venga has been helping restaurants better understand and engage with their guests. In 2013, Venga released its unique OpenTable and point-of-sale integration. Additional partnerships are expected. By connecting the dots between guests and their purchases, Venga unlocks the data restaurants have never been able to put to use and provides the tools to increase guest satisfaction and frequency. Key challenge: Maintaining customer excitement without disrupting the restaurant workflow. 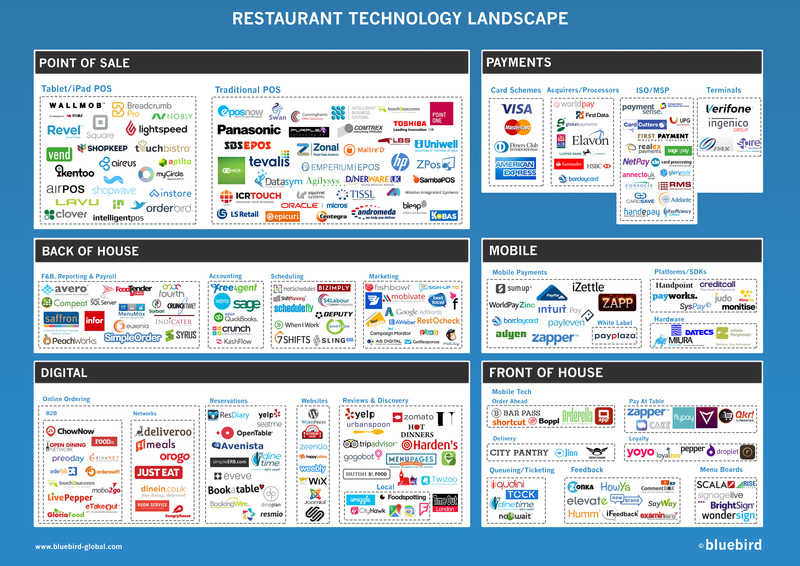 An all-in-one restaurant technology platform devoted to transforming the restaurant experience. Built specifically for restaurants, Toast brings together many solutions from integrated online ordering, gift card, and loyalty programs to labor and sales reporting all on a mobile, cloud-based POS system. Since launching Toast in 2013, the company has grown to hundreds of employees and thousands of customers nationwide, ranging from restaurants and cafes to nightclubs and enterprise franchises. Toast is committed to improving the lives of restaurant owners and transforming the way we eat out. Key challenge: Building a hardware business is hard and scales differently than software.